The first masterpiece from Harry Payuta . 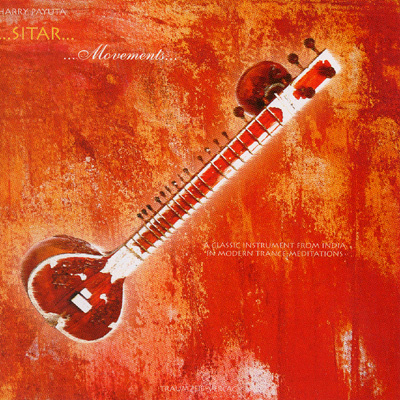 Sitar flows here, with gentle percussion and trance even grooves. Harry Payuta maintains the tradition of classical Indian instrumentation and covers the whole range from blues to the finest chillout music. Accessible sitar for Western ears . Unique, exotic, inspiring. The first five tracks on the CD are very quiet and supporting, meditative and gently invigorating. The last four tracks are groovy without being restless , gentle and powerful, well chilling, but also dance ! The CD encourages wanderlust. See you sitting in a convertible and the sun is blowing through one's hair driving while through a vast, southern landscape . From the speakers Payuta's sounds. Technically perfect production , recorded accurately , fantastic sound. Bright Lights! Unquestionably a masterpiece. Harry Payuta follows new paths , and produces a brilliant performance . brilliant produced sitar trance dance chill album.